Designed to fit your VELUX ® roof windows perfectly, our own brand Elements collection of... blackout blinds are so easy to install and offer incredible value. We’ve taken our most popular colours and made them even more affordable so you can make huge savings. Our very own brand, specially designed for VELUX ® roof windows. This Expressions collection lets... you choose from a huge range of colours and styles. Easy to install for a perfect fit, all of our B2G Expressions blinds for VELUX ® roof windows are 100% blackout to give you incredible shading. Our own brand blinds for Fakro windows are specially designed for a perfect fit. With amazing... blackout properties this Elements collection offers outstanding value on the most popular colours and are so simple to install you can fit them easily in just a matter of minutes. Offering a huge choice of colours for your Fakro windows, our own brand B2G Expressions collection... has something to suit every style. 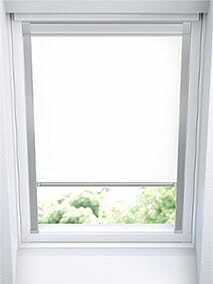 They fit your Fakro windows perfectly and are so simple to install. What’s more, they’re all 100% blackout to keep your room completely shaded. Our very own unique collection of Blinds 2go blackout blinds for Keylite windows gives you amazing... savings on the manufacturer’s RRP and can be easily installed in just minutes to provide you with perfect shading, incredible style and great value. 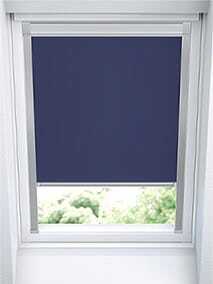 We've created our own range of blackout blinds designed to fit your Keylite windows perfectly.... They're fitted in a matter of minutes to give you blackout protection and lots and lots of style. Rooflite and Dakstra roof windows use exactly the same blinds and even the window codes are the... same. Our own brand collection of blackout blinds are designed to fit the windows perfectly as well as offering massive savings against the manufacturer's RRP. Our unique, own brand collection of Expressions blackout blinds for Dakstra and Rooflite... windows contains a whole host of colours and styles for you to choose from. Installed in minutes, they’re designed to fit your window perfectly with no hassle and no fuss. Our collection of own brand B2G blinds for Velux, Fakro, Dakstra, Rooflite and Keylite windows comes in a range of colours and styles to suit your home and are made to fit your window perfectly. Offering huge savings of up to 70% on the manufacturer's RRP, you can choose from blackout and waterproof options that are so easy to fit, meaning you can have your blinds installed and ready in just a matter of minutes. With additional savings on our most popular colours, you can save even more money with our Elements collections while our range of Expressions blinds gives you the choice of lots of different styles, textures and colours to suit your home. 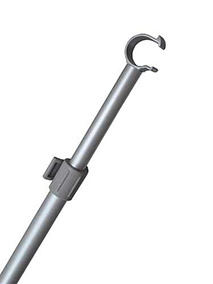 You can even opt for a special telescopic rod for ease of access and control. I have ordered blinds on a number of occasions and the quality and value from Blinds2go cannot be beaten. Always delivered promptly. - did what it said on the can! Very prompt and full fitting instructions - excellent what esle is there to say? Excellent price great service very happy with product. Found the website very easy to use. Dispatched very quickly. The blind I bought for my velux window fitted perfectly and was of a very high standard. Thank you - all was great. 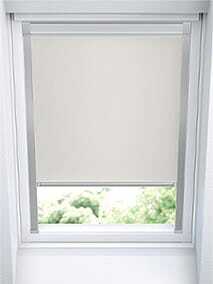 Ordered a blind for a Velux window which arrived quickly and was easy to fit. Good quality item at cheaper price than a branded one. No problem with it at all. Happy with purchase. Easy to fit. Good price (compared to other brands). Good instructions. Bought couple for my sons roof room. He loves it. Would definitely recommend them. Thanks.